Once a year we provide the Department for Education with information that we hold about our pupils in a census return. Allocations are made based on the school which the eligible pupil attends at the time of the January school census. This information is used to determine the amount of additional funding we receive for specific pupils, and we then ensure the money is spent on those same pupils over the course of the school year. The Pupil Premium is additional funding given to schools so that we can support our disadvantaged pupils and close the attainment gap between them and their peers. Where Can I find More Information On Pupil Premium Funding? For more information on Pupil Premium please click here to visit the Department for Education’s website. How Do I Know If My Child Can Receive Pupil Premium Funding? The most common reason a pupil receives Pupil Premium funding at our school is because a parent is registered as receiving a benefit that entitles them to free school meals. This is not the same as receiving a free school meal as your child is in KS1. Free school meal / pupil premium funding now works as: All pupils in KS1 (Reception,Yr1 & Yr2 classes) will recieve a free school meal upon completion of the correct form. However, if you receive certain benefits your child can still receive pupil premium funding, but you MUST fill in all the details on the free school meal form. KS2 (Yr3, Yr4, Yr5 & Yr6) All pupils will need to apply for free school meals and pupil premium in the same way as before. Children who have been in local authority care for 1 day or more also attract £1900 of pupil premium funding. Funding for these pupils doesn’t go to their school; it goes to the virtual school head (VSH) (https://www.gov.uk/government/policies/improving-the-adoption-system-and-services-for-looked-after-children/supporting-pages/virtual-school-heads-vsh) in the local authority that looks after the child. 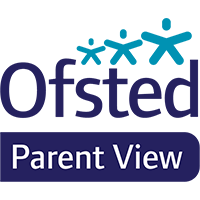 VSHs are responsible for managing pupil premium funding for looked after children (https://www.gov.uk/pupil-premium-virtual-school-heads-responsibilities). £1,320 for each eligible free school meal primary-aged pupil. £300 for each eligible service child. IF YOU ARE IN ANY DOUBT IF YOUR CHILD MAY BE ELIGIBLE FOR PUPIL PREMIUM FUNDING PLEASE ASK US! How Is Pupil Premium Money Spent At Scarning? Please see each year for the details on how we have spent the money. We will not necessarily spend the money on the same things every year; we will see how well different interventions work and if it is appropriate for the current year’s pupils. We are committed to ensuring each child that has received Pupil Premium money benefits from the funding, regardless of their ability. Given the right learning environment we believe all pupils can flourish and reach their full potential. A key objective when deciding how to spend the Pupil Premium Funding is to narrow the gap between pupil groups. We believe a very good way to do this is through targeted support provided through small group tuition, one to one support and teachers being able to spend time with pupils as individuals where needed. A large amount of our funding is therefore spent this way. In April of each year all teachers are made aware of whom their Pupil Premium children are. There current levels are recorded and the intervention each child would benefit from will be noted. We then work out the best way to provide this for each individual child. Their levels will be checked regularly through the year to see if the intervention is working, and adjusted accordingly. At the end of the year we will publish the progress our Pupil Premium children made, although no child will be identified either by name or class. Please remember this intervention is available for all Pupil Premium children regardless of their ability – even high achievers could do better! We will be pushing all our children to have high aspirations and achieve the best results they can for themselves.